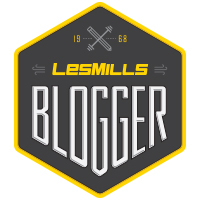 I know my “running” blog has turned into a bit of a “LES MILLS love fest” lately! Often, I have friends from different areas that tell me they do not have gyms near them with LES MILLS classes. You can search for a gym with LES MILLS classes near you here. Other people tell me they don’t like to work out in front of people, don’t want to pay to belong to a gym or they are too busy to drive there before/after work. Did you know that LES MILLS has an online option?? It’s called: LES MILLS ON DEMAND – and it’s awesome! 10 day free trial and then a $12.99 per month fee. I absolutely hate being enrolled in something that automatically charges you. This is actually easy to manage under the settings in your account. It is super easy to cancel at any time, even before the 10 free days are over. I have used this service off and on since it came out. The first time I tried it, I did cancel it after 9 days so I wasn’t charged. This past winter I used it for a few months when I couldn’t get to the gym as much as I wanted for live classes. GRIT, BODYFLOW/BODYBALANCE, BODYCOMBAT, BODYPUMP, CXWORX, RPM, SH’BAM, BORN TO MOVE (kids) and free. The “Training cardio/strength” and “Dance” were created just for On Demand. *Some classes require equipment, like BODYPUMP, RPM, GRIT plyo/strength or CXWORX. *No equipment needed for BODYFLOW, BODYCOMBAT, GRIT cardio, SH’BAM and BORN TO MOVE. *Most classes are a 30 minute format, but they have added a few full length 45/55 minute classes. Even though I have access to classes at my gym, I have used On Demand for GRIT and RPM at home. Colby has a “bike trainer”, which allows us to make our own bike stationary. It’s not as great as an actual “spin” bike, but it gets the job done. I like it in the winter, because riding a bike in the basement with just music can be super boring. RPM is a great program and really makes the time fly! I’ve also done GRIT in my basement when I wasn’t able to get to the gym. GRIT is SO much better in person, but I loved having the option to do it on my own during the winter. GRIT is an intense HIIT workout and only 30 minutes. I’ve tried SH’BAM On Demand, but I honestly wish BODYJAM was available on this service. I LOVE BODYJAM, but there are no gyms in my area with that class. Both SH’BAM and BODYJAM are dance classes. They just came out with something that looks very similar to jam and they call it “DANCE” On Demand. I haven’t tried it yet, but I will soon! Those of you with kids can try out the newer kid program (BORN TO MOVE) and it is completely free. You don’t even need to sign up for a subscription. So, if you are curious about LES MILLS classes, you can now try them at home! It’s a great way to try it out on your own before you go to a live class!